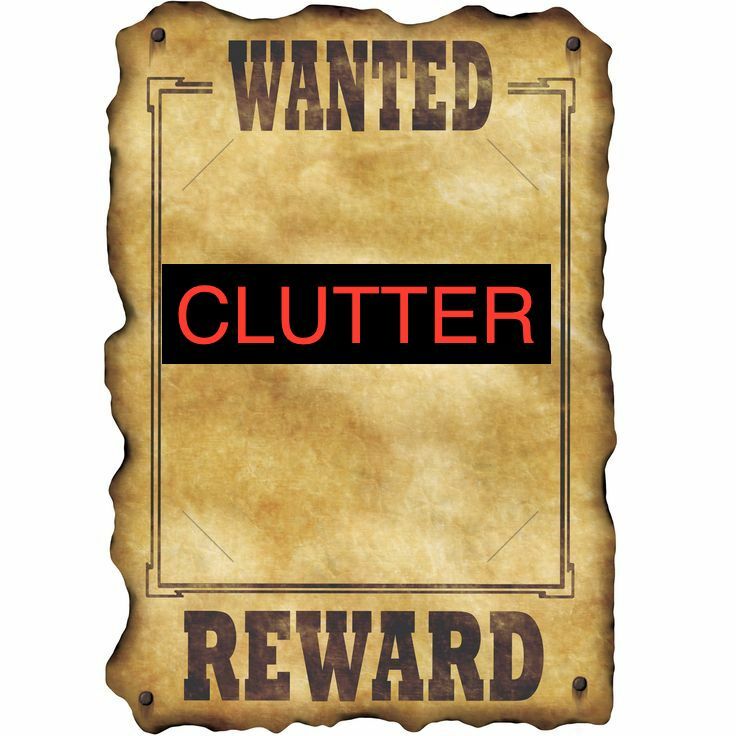 Clutter wants your home. It steals space from the most important living areas of your home or office so you are forced to find other “homes” for the things you truly value, need and use more frequently. 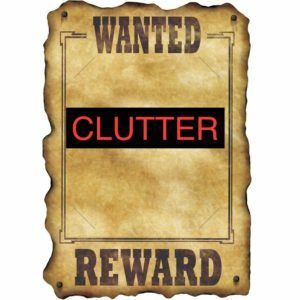 I think of clutter as a thief, stealing space so that you are unable to use it for whatever you had intended. 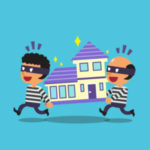 Here are some typical “space-thieves” and a few ideas for what you can do to deter them from stealing space in your home. Only keep containers with lids. Keep no more than 5 for each size. If they smell or are broken, toss them​. The largest sets of food storage containers I see contain about 40 pieces. If you have more than that, you probably have too many. Toss (recycle) boxes that don’t have lids, and only keep the lidded kind, eg., banker boxes, for storing paper records (or if you are planning to move or remodel within the next 6 months). Don’t keep boxes for storing items other than paper records. Use bins that can do a better job of protecting what’s inside them from the elements. As for shopping bags, if you live in a state that requires using reusable bags, pick out your favorites but only keep the durable ones. No more than 10-15 grocery size. Keep them nested together and store a supply of them in your car or by your front door for when you go shopping. For paper shopping bags, keep only as much as will fit in one bag of equal size. Eg., About 10 paper shopping bags (doubled or not) will fit into a single paper grocery bag. The same for smaller “gift” or “lunch-size” bags. Don’t keep any without handles. Recycle them. Refer to my blog: How to let go of books with less tears. As for magazines, keep only those you are likely to refer to again such as collectible “special” issues or those you need for work or for reference. Toss any “newsstand” type magazines that are older than three months, especially if you haven’t read them. Donate what you don’t love, have never used or worn (unless it has a sentimental attachment). Don’t keep anything that hasn’t fit you in a year, chances are by the time it does, it won’t be your style anyway. Toss or recycle anything that is ripped or stained. If you wouldn’t buy it, why would someone else? 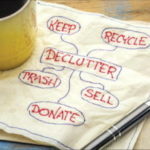 Toss (or recycle) anything that’s torn, stained or worn or has moth or beetle holes. Check out this link for tips on protecting your woolen items. Keep a maximum of 2 sets of sheets for warm and cold seasons. Consider donating unwanted linens or blankets to a homeless or women’s shelter. Unwanted towels are always appreciated by a local animal shelter or humane society. I have written extensively about this in previous blogs, but in short, toss anything that doesn’t pertain to you personally, doesn’t require you to do anything, is unlikely you will ever look at again AND you haven’t seen in ten or more years. If you don’t clean (or have someone to clean for you) all the cleaning supplies in the world will never get your home clean. Also, if your surfaces are covered, no amount of cleaning agents will help until you get the stuff out of the way. Toss cleaning supply containers if they are almost empty, toxic items should be safely disposed of according to your county’s regulations. Don’t keep any items that are designed for surfaces that don’t exist in your home. For example, don’t keep a cleaner for blinds if your windows no longer have them. Eliminate redundant products. Also, don’t keep a cleaning tool that has too many parts or is cumbersome to use. It will only discourage you from cleaning. Decking the halls even once a year can be very time consuming. If you haven’t used your “easter” decorations in over a year, or you no longer celebrate St. Patrick’s Day at home, get rid of the green hats and plastic shamrocks. Toss broken, never used or cheap-looking supplies. Don’t keep wrapping paper remnants. If you inadvertently bought an item that you don’t like, don’t keep it for next year. Toss, recycle or donate it now! For cords and cables, put a label on them as soon as you get them. Otherwise, keep only those you can match to an existing device. Look for electronic recyclers or free recycling events in your area for items you no longer use. Keep cables and cords separate from other electronic devices such as headsets or earbuds. Give them one year from the day they’ve moved out to go through them unless you need to move yourself. Remind them at 3 month, one month and one week intervals that you want them to have what’s important to them. Trust me they want a lot less than you think and you will be far more sentimental about their stuff than they will be but they still should have an opportunity to decide what they wish to retain. 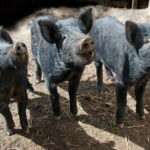 If they are far away, take photos or make a list and ask them to decide by a certain date.